Williscroft Women's Institute was organized in 1901, disbanded in 1920, and then reorganized in March 1949. 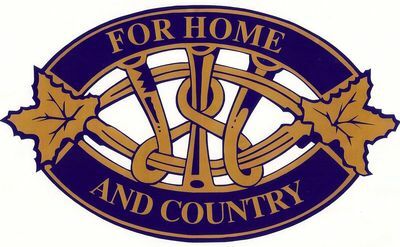 It continues to be an active branch of Bruce County District Women's Institutes of the Grey-Bruce Area Women's Institutes. 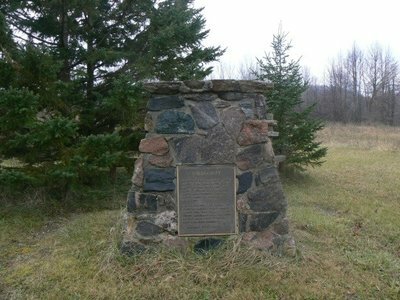 The Williscroft Cairn is located on Bruce County Road #40 (Lot 12, Concession 12, formerly Elderslie Township). In 1987, the Williscroft WI erected the above cairn in remembrance of the Pioneers of that area. Dedicated to the Memory of the Pioneer settlers of the Hamlet of Williscroft which was comprised of a post office, sawmill, flour and grist mill, cheese factory, store, blacksmith shop, Baptist church, and S.S. #8 Elderslie School, and a swimming hold in Snake Creek. For commercial use, please contact copyright holder for permissions and details.